The place of the old covenant law in the lives of Christians has been a bone of contention since the first century. The tendency has always been toward one of two extreme errors: either antinomianism or legalism. In this series, R.C. 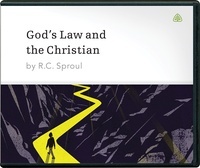 Sproul provides a balanced look at the place of the law in the new covenant and illustrates it through an analysis of each of the Ten Commandments.